We are pleased to welcome another cTrader Expert to provide their unique insights. 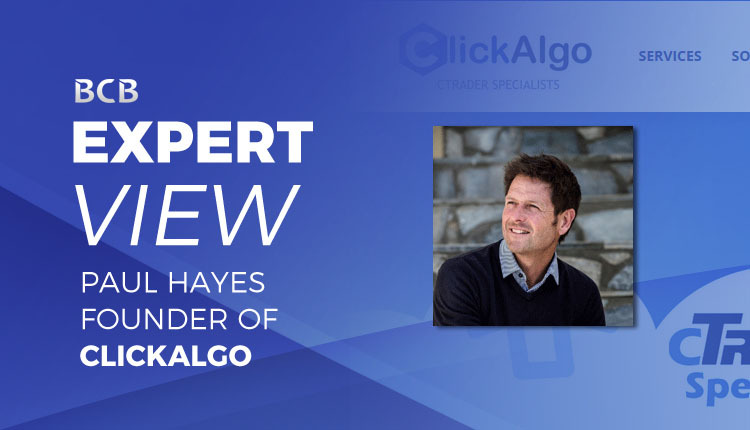 Paul Hayes is the founder of ClickAlgo, a software development company which builds trading robots, custom indicators and a variety of tools and add-ons. All of ClickAlgo’s products have a strong focus on the cTrader platform. Paul is a clear cTrader advocate who claims to be a cTrader specialist and we concur. Paul started ClickAlgo in 2015 which is listed as an official cTrader consultant on the cTrader website. Over the years he has become a bonafide member of the cTrader community. Paul frequents the cTrader forum, helping traders with their trading and development queries. Let’s fire off some questions and find out more. Welcome, Paul. Where did the idea of Click Algo come from? What opportunity did you see and what did you set out to achieve? I originally started out as cAlgo4U in 2015 and rebranded in 2016 to ClickAlgo, the name came from the word “Click” which refers to how the trader uses mouse clicks to trade and “Algo” for algorithmic trading. My background is information technology with over 15-years working in a commercial environment gaining valuable knowledge which was eventually brought to this industry. A full 12-months was spent trading full time so that I could understand the industry, as well as the mindset of a new trader, their dreams, fears and how they research for knowledge. It was with this knowledge as well as my commercial software development experience that I decided to put it to good use in the financial services industry. Also, it was identified that the team needed an experienced full-time trader so we could be a more balanced company to provide a professional service for our customers. Our team now consists of a valuable full-time trader who guides us with which products we should be building, three full-time developers, a product support person and I myself focus on sales, web marketing and application development. You have a wide variety of products listed on your website, such as indicators, widgets, notifications and more. Where do you get the inspiration for your products? Pretty much all the inspiration comes from traders who use the cTrader platform, we have a suggestions forum where customers can leave comments. We also research into which features are requested on the cTDN forum at cTrader as well as other trading platforms, sometimes our products are a hit, sometimes they are not, but we learn where to invest our time with experience. What are the common concerns of traders who want to migrate their Expert Advisor from MetaTrader 4 to cTrader and how do you reassure them? We have noticed a huge increase in traders who want to convert their existing MT4 Expert Advisors & Indicators to be used with cTrader. The first step an MT4 user needs to do is to simply contact us via email or by telephone and explain what they would like achieved, we will do our best to help them get their valuable tools migrated across so they can start using the excellent features that cTrader platform has to offer. 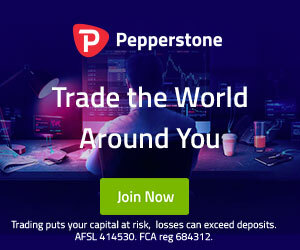 If trader contacts you and wants you to build a robot to automate their forex trading strategy, can you walk us through the process of how you would discuss this project with? The first step is to ask them to provide a detailed project description of how the system will work, this can be an email or document for more complex systems. We will then send them an email with a fixed quote with an estimated delivery date. If the customer agrees they will be sent a PayPal invoice to pay. Once the invoice has been paid, the assigned developer will contact them to introduce themselves and start the work, the developer will be in contact with the customer during the process for any verification. When the product is complete the developer will put the project on one of our test servers to make sure it matches the customer’s project description. Once the developer is happy that it is correct, they will send the project to the customer to test. If the customer finds any issues with the project, they will send a report to the developer who will fix them free of charge. The developer will fix the bugs and send the project back to the customer to test again, this cycle will continue until the customer is happy with the final product. It is also common that the customer contacts us after they have run the trading system for a with some modifications or new features. Before we sign off, could you please tell us, what is your favourite cTrader feature? My personal favourite cTrader feature would be the charting, this is what sold the platform to me from day-1, it is clean, easy to use and it is where I used to spend most of my eye-time. If you are going to stare at price action for many hours, then you need a platform where the charting is a pleasure to use. Any cTrader user with the inclination to start working with automated trading strategies or looking for some extra features that cTrader is missing, ClickAlgo is the place to go. Don’t be afraid that cBots and custom indicators will cost hundreds or thousands of dollars to get started. ClickAlgo has a very affordable range of products on their e-shop. Check the ClickAlgo e-shop.